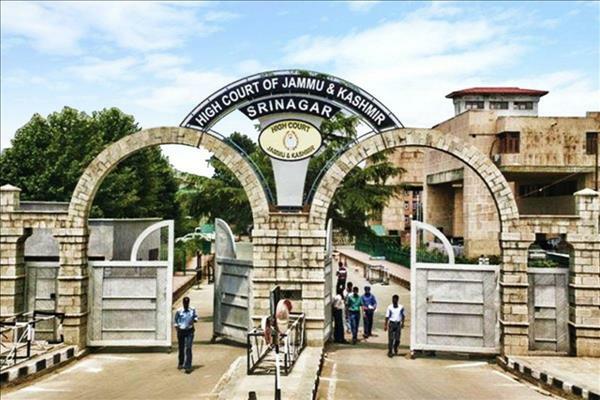 (MENAFN - Kashmir Observer) SRINAGAR — The Jammu and Kashmir High Court has granted government six weeks more time to file counter affidavit to a petition, seeking directions to allow sale and usage of e-cigarettes in the state. A division bench of the court passed the directions additional advocate general submitted that he shall be positively filing the response to the plea within six weeks. 'Let the same be so done,' the court said and posted the petition on May 24. The PIL has been filed by one Mushtaq Ahmed Shah, seeking directions to that authorities to allow the use and sale of Electronic Nicotine Delivery Systems (ENDS) or e-cigarettes, if necessary by framing necessary regulations for this purpose. He pleaded for a committee to be constituted to conduct a proper research and analysis of ENDS and thereafter formulate rules and regulations for use and sale of ENDS. "Since no Electronic Nicotine Delivery Systems (ENDS), including e-cigarettes, heat-not-burn devices, vape, e-sheesha, e-nicotine flavoured hookah, and the like products have not yet been approved under the Drugs and Cosmetics Act 1940 and rules made thereunder, you are requested to ensure devices that enable nicotine delivery are not sold (including online sale), manufactured, distributed, traded, imported and advertised in your jurisdictions," the regulator's order stated. In August last year, the Health Ministry issued an advisory to all states and UTs to stop the manufacture, sale and import of ENDS after the Delhi HC took a strong exception to the Centre for delay in coming up with appropriate measures to tackle the new emerging threat of e-cigarettes in the country. After the MoHFW advisory, the Ministry of Electronics and Information Technology, too, proposed an amendment to the Information Technology (Intermediary Guidelines) Rules 2018 to ban the advertisement of e-cigarettes. Even the Central Board of Indirect Taxes and Customs issued a circular recently, saying that all import consignments of e-cigarettes must be cleared by the drug controller first. Steadfast in its commitment to protect the health of children, adolescents and women of reproductive age, 36 countries around the world and 12 states in India have banned the sale of e-cigarettes due to its health harms.